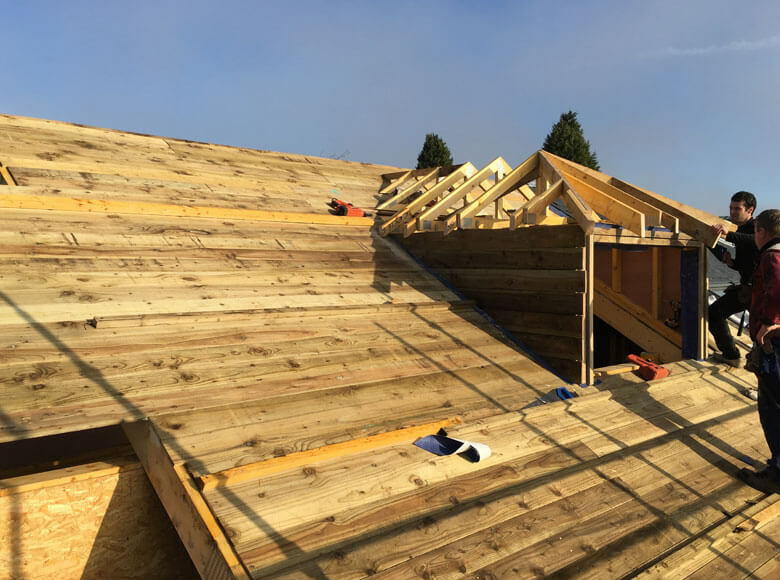 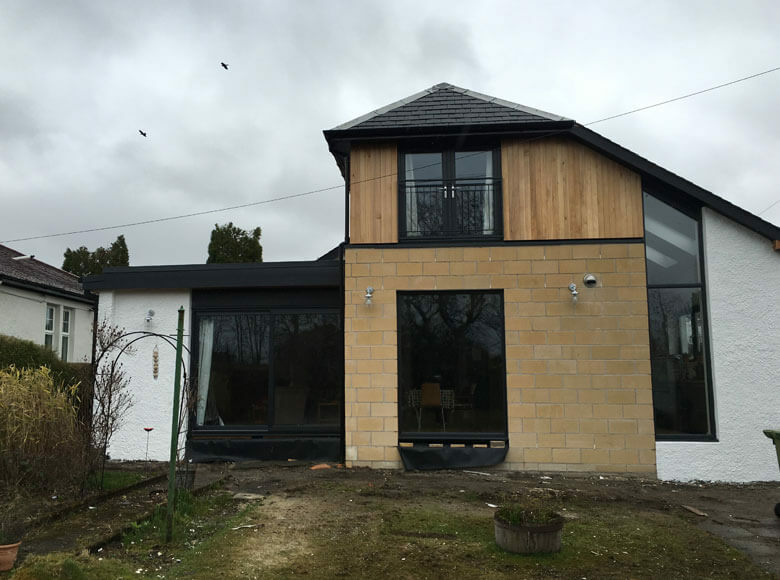 This detached bungalow started with the roof completely removed and stripped back to mainly increase its size to accommodate a large extension. 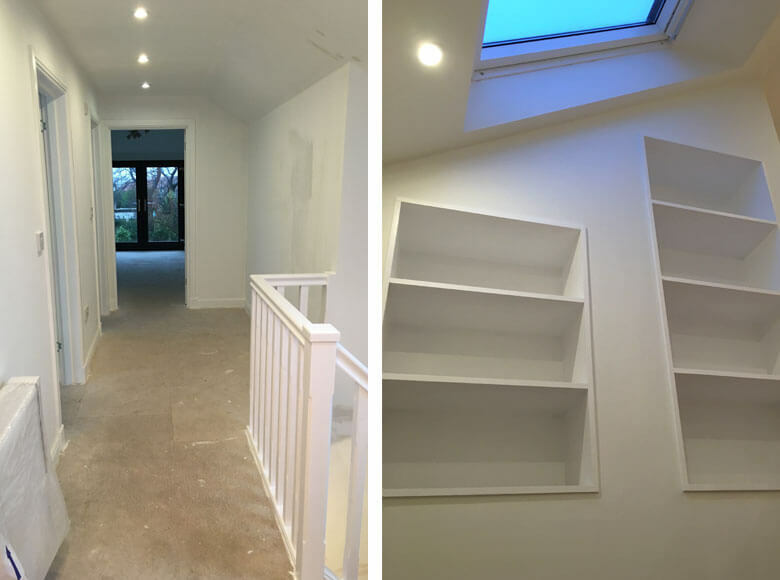 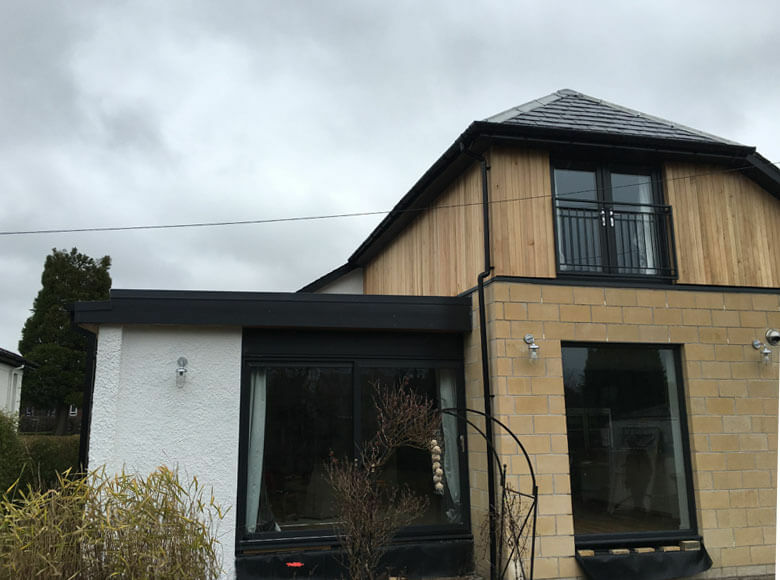 A new rear extension was created to make increase the size of the upstairs bedrooms all with en-suite and downstairs an open plan kitchen with living area was created. 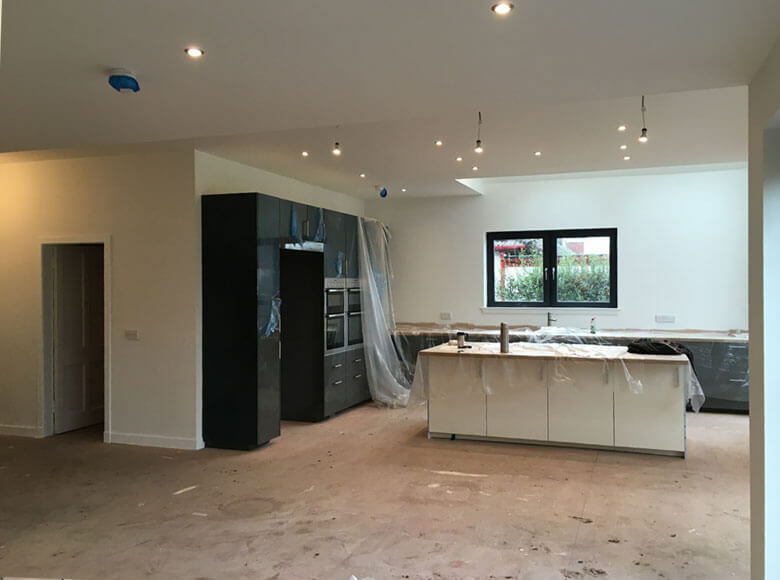 Refurbishment and joinery was carried out to provide a high standard of finishing.